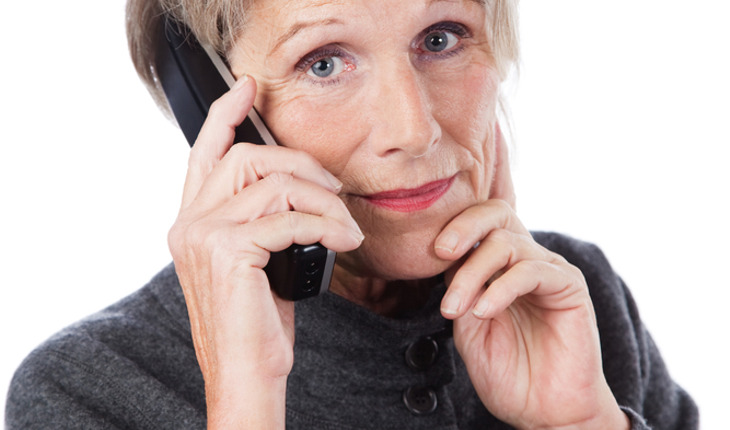 Rhode Island Hospital researchers have found that a support program administered entirely by telephone can significantly reduce depression and other symptoms in informal caregivers, such as family or friends, of individuals with dementia. The study was published in July 2014 online in advance of print in the journal Alzheimer’s & Dementia. A telephone-based support program is also potentially less expensive than in-person treatment options, and often more convenient for caregivers. While previous studies have shown that caregivers benefit from programs such as in-person support/group therapy sessions, this is the first such study to present data supporting a program that is delivered only by telephone. According to the Alzheimer’s Association, there are 5 million people in the U.S. with Alzheimer’s, and it is the country’s sixth leading cause of death. More than 15 million family and friends provide care for those with Alzheimer’s and other forms of dementia, resulting in 17.5 billion hours of unpaid care each year.